The project was a group effort divided up by brands. Each of the our group members tackled 1-2 brands created by us for a Cutlery and Kitchen Supply Company. My part was to create a new logo and look for a Cutlery and Supply brand. 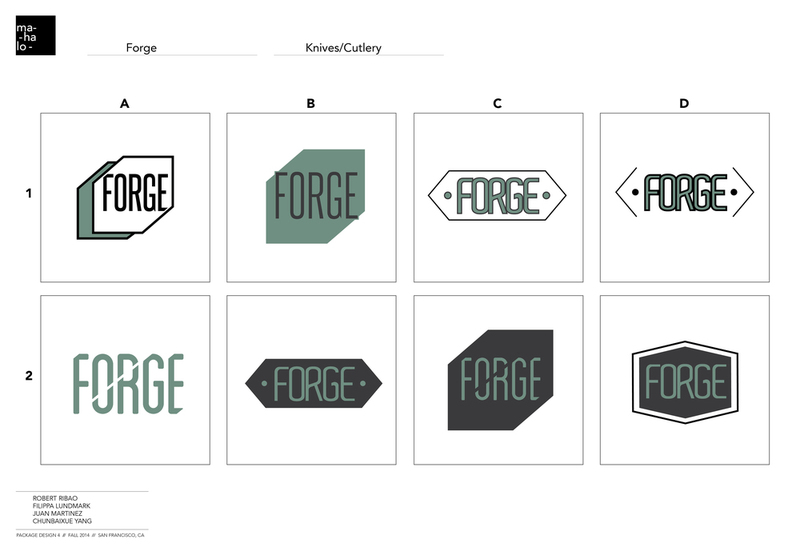 After brainstorm, research, sketches and revisions, the brand FORGE was born. 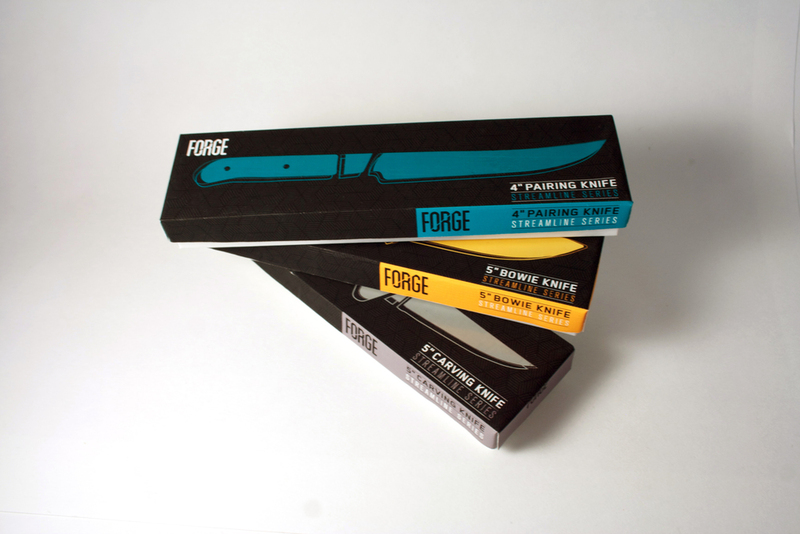 FORGE upholds strong, sharp, time less and well crafted cutlery for the professional chef as well as the at home cook. 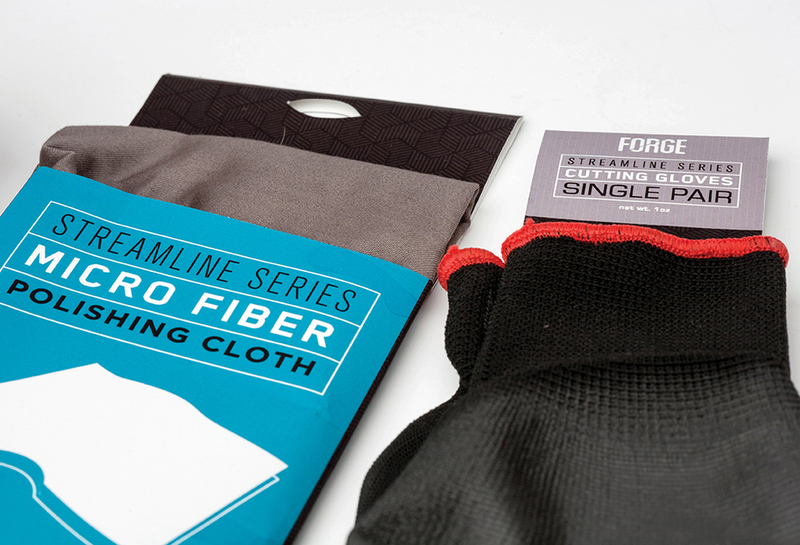 It is separated into affordable and higher end products by the package design and colors. A modern approach to todays world of cooking and cutlery. Keeping a simple clean design through each system, easy to understand and recognizable. Inspired by Japanese knife making and patterns, the approach was to create a modern look for a high end and affordable brand of cutlery and supplies.